Stretching over more than 500 square miles in Southern California, the City of Angels is one of the most vibrant, exciting destinations in the United States. From the bright lights of Hollywood to the skyscrapers of downtown L.A., this one-of-a-kind Californian gem charms the world with its dynamic appeal. Thousands of new residents flock to the city each year, with many calling on Los Angeles movers to help make their transition as seamless as possible. With its world-class dining, entertainment, and recreational opportunities, Los Angeles is a city that never ceases to impress. 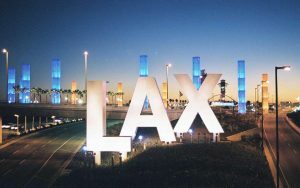 Call 323-573-0010 or 800-349-5000 for a free quote to move to this great city! Some four million people call the city of Los Angeles home, with an additional nine million in the metro area. L.A. has enjoyed a long and storied role in Californian history; from its colonial roots at the hands of Spanish settlers to its modern-day position as one of the United States’ largest and most popular cities, Los Angeles has undergone a number of transitions and evolutions over the course of its existence. Many associate Los Angeles with the film and entertainment industry, with some of the most beloved movies in history having been shot in the vicinity. An estimated one in every six residents actually works in the creative field, which has helped the city earn the nickname, the “Creative Capital of the World.” Both visitors and residents alike can delight in the L.A.’s rich entertainment legacy, with many film studios offering tours to the general public. First-time visitors to Los Angeles are often surprised by the sheer size of Los Angeles and Los Angeles County. More than 80 distinct neighborhoods and commercial districts divide the city, each of which has its own unique feel and vibe. Bel Air, Chinatown, Venice, West Hollywood—many of L.A.’s neighborhoods are veritable destinations in their own right. Not only do the neighborhoods of Los Angeles demonstrate the community’s diversity, but they also reflect the ever-evolving identity of modern Los Angeles. From working-class families to the wealthy elite and everyone in-between, L.A. is home to people from all walks of life. Many neighborhoods still showcase strong links to their historic roots; immigrants from across the entire world have shaped the city of Los Angeles for hundreds of years, and the streets of the modern city tell their incredible stories. For those seeking some fun in the sun, Los Angeles never fails to deliver. The city is arguably home to some of the world’s best-known landmarks. Notable examples include Grauman’s Chinese Theatre, Griffith Observatory, and the Getty Museum. With so many incredible places to discover inside the city’s limits, it comes as no surprise that Los Angeles continues to draw new residents from across the globe. Outside of the tourist hotspots, Los Angeles offers culinary surprises around every corner. L.A.’s melting pot culture makes it one of the only places on the planet you can enjoy an authentic croissant for breakfast, followed by homemade banh mi for lunch, and a tasty plate of crunchy tacos for dinner. For the amateur foodie, Los Angeles is a playground of unmatched proportions. Chasing after a big city dream? 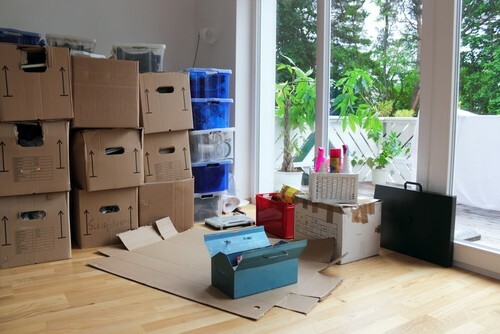 Let’s face it: moving can be incredibly exciting, but it also carries a lot of responsibility. Whether you’re crisscrossing L.A. or setting sail for another part of the world, partnering with the right moving company Los Angeles is the savvy way to reduce the stress on your shoulders. 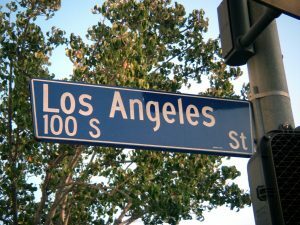 Choosing the right Los Angeles movers for your needs is no small feat. Plenty of companies make big promises about the services they offer, but few have the knowledge and experience you need to ensure your move goes off without a hitch. Fortunately, A&A Moving Company has you covered. With a local track record spanning nearly two decades, our reputation for excellence proceeds us. It’s easy to get started with our team of moving professionals in Los Angeles. We offer free moving quotes and affordable rates, so you’ll know what you’re getting from the very start. Our licensed and insured Los Angeles movers work quickly and diligently to get the job done right. In addition to personal moves, A&A Moving Company can also handle office and business relocations. From furnishings to apparel, equipment, and more, if it can be moved, we’ll get it done. Best of all, we’re committed to delivering to being the best moving company Los Angeles. Our team consistently goes the extra mile to make certain our clients receive the best possible service and support. Ready to get your Los Angeles move underway? Contact A&A Moving Company today to request your free quote. Call us at 323-573-0010 or 800-349-5000 and we’ll help you explore the solutions available for your upcoming move. A&A Moving Company provides licensed and insured movers to help you with your local moves in and around Los Angeles County. We have been in business for nearly two decades and we have come to know what customers expect and we work to exceed those expectations on every job we do. A&A Moving Company is available seven days a week, twenty-four hours a day (24-7). Your satisfaction is our top priority, contact A&A Moving Company, your expert mover and moving supplies resource for Los Angeles Ca at (800) 349-5000. Maybe you are renting an apartment or have just closed on a new home in Los Angeles, California. The usual reason for a move is either a new job or your current job moving or need to relocate for work reasons. In either case, you are already going to be busy acclimating to a new locale and routine. Moving in Los Angeles is a major undertaking and can be a real headache. Let the experienced pros at A&A Moving Company reduce the load you have to carry by handling your move to your new home or apartment. We supply any packing services and moving supplies that you will need. All our free moving quotes already include insurance that covers your valuables. Our professional, reliable and local Los Angeles movers will carefully disassemble and wrap any large, intricate or delicate furniture. We will then reassemble it and put it where you want in your new home. Moving can also be an expensive proposition, and this is where you will be glad you found A&A Moving Company. You can get a quote by simply providing some basic information online via our free moving quote. You will be pleasantly surprised when you compare our affordable moving rates to other professional movers out there. Assuming you provide us with accurate information to base the quote on, then that quote is what you will pay. We won’t charge you for any extras that you only find out about at the end of the move. You will not find a better bargain in terms of lower rates from a comparable team of licensed and insured professionals. Anyone who seems to be a better deal than us are people you do not want to be trusting with your valued possessions. With a full-service company like A and A Moving you can get all your business or home packing done by experts. Strong boxes, the right packing materials and expert care get your belongings to their destination in good condition. Hiring A and A Moving also saves you time over doing it all yourself. Bonded and insured staff and well-maintained trucks give you a worry-free move. Move with confidence and take all the stress out of the process, whether you’re moving across Los Angeles or across the country. Nothing beats knowing you made the right choice. Quality counts. Protect your investment in your home or business furnishings by choosing an experience, reputable and licensed mover like A and A Moving. Getting the job done right and providing excellent customer service and satisfaction is how the best Los Angeles moving companies stay on top. For your next move in Los Angeles Ca, contact A&A Moving Company at (800) 349-5000 and get a free moving quote before your move! Moving in Los Angeles is stressful enough. Let A&A Moving Company handle your long distance and local moves. Our flexible hours and services, affordable rates, and friendly staff providing outstanding customer service are just what you need for your move. Word of mouth is our most powerful advertising because we do such a good job for people that they can’t help recommending us to friends and family. A&A Moving Company is moving Los Angeles one satisfied customer at a time. Contact A and A Moving at (800) 349-5000, so we can tell you how we can make your move easier than ever. School District(s) 333 S Beaudry Ave.